Urine treatment and fertilizer production. Urine contains high levels of nutrients – and these should not be allowed to enter waterbodies. One attractive option, therefore, could be to recover nutrients for use as fertilizers in agriculture. Novaquatis studied a broad range of processes – biological, chemical and physical – both for the production of fertilizers and for the removal of nutrients. It was shown that the various processes are suitable for different purposes and, in most cases, are not energy-intensive. This means that treatment can be adapted to meet specific requirements. The bulk of the nutrients from human metabolism are excreted in urine – in particular, nitrogen (N), phosphorus (P) and potassium (K). These nutrients are desirable in agriculture, but not in waterbodies (where only K causes no harm). It may therefore make sense to separate urine from wastewater and use it for fertilizer production. Fresh urine is slightly acidic, with a pH of 6–7. However, the high concentration of biologically degradable substrate promotes rapid bacterial growth. As a result, the chemical composition of urine undergoes significant changes during collection and storage. Since urea is hydrolysed to ammonia and carbon dioxide, the pH rises sharply – to more than 9 (cf. Nova 2). In addition, urine contains organic micropollutants, especially pharmaceutical residues and hormones, which are equally unwelcome in waterbodies and in agriculture (Nova 5). The various treatment processes serve widely differing purposes: urine can be stabilized and its volume reduced; nitrogen and phosphorus can be recovered or removed; and bacteria, viruses and micropollutants can be eliminated . However, it is not possible to achieve all the different objectives using a single process; a decision is thus required as to what is desirable and what is necessary. In general, urine treatment may involve biological (Nova 4-1), chemical (Nova 4-2, 4-3) or physical (Nova 4-3) processes. The advantages and disadvantages of the various methods are discussed in detail in . Nova 4-1 was concerned with the development of a biological process for urine stabilization . 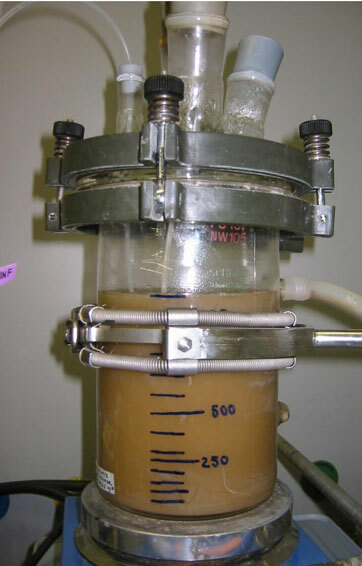 Bacteria cultured in a reactor not only decompose organic compounds in urine but also convert a portion of the ammonium to nitrite or nitrate (nitrification). This leads to the production of acid, which lowers the pH of the urine from more than 9 to about 6, preventing losses of ammonia. At the same time, the biological processes eliminate unpleasant odours. With this process, a solution of ammonium nitrate or ammonium nitrite is obtained. The nitrogen compound ammonium nitrate is a commercial fertilizer. Ammonium nitrite, in contrast, is toxic to soil organisms. However, it can readily be converted to nitrate through chemical oxidation with oxygen at a low pH value  or, using another biological process, to a harmless nitrogen gas and water . The chemical conditions in stored urine (i.e. high pH values) promote the precipitation of phosphorus in the form of poorly soluble phosphorus-containing salts. This leads to encrustation and clogging of pipes (Nova 2). However, the process can also be used for phosphorus recovery. 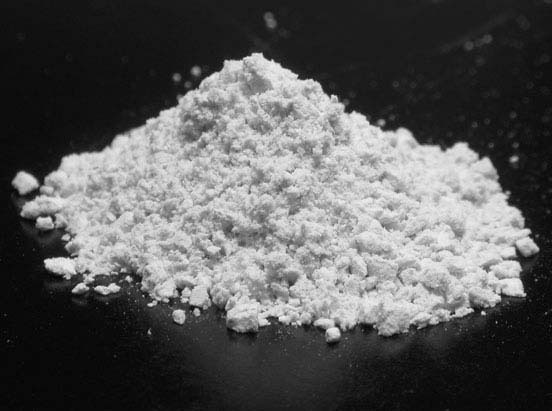 With controlled addition of magnesium, phosphorus can be recovered in the form of struvite (MgNH4PO4, magnesium ammonium phosphate, MAP). This is attractive, as two significant wastewater nutrients (P and N) are thus transformed into a single solid product, which is, moreover, a well-established slow-acting multicomponent fertilizer. Nova 4-2 investigated in detail the process whereby struvite is produced from urine . It was shown that the rate of phosphorus elimination depends crucially on the degree of dilution, but generally reaches 98%. The product obtained is largely free of pharmaceuticals and hormones, and no heavy metals could be detected . Although struvite can be used directly as a fertilizer, it is not suitable for further processing in the phosphorus industry . In a Novaquatis follow-up project, other precipitation products are being studied that would be suitable for further processing of this kind. Thus, both options can be kept open. Nova 4-3 considered various urine treatment scenarios, focusing on membrane technologies. The aims of these methods are threefold: (1) to separate organic micropollutants from nutrients, (2) to concentrate the nutrient solution (volume reduction) and (3) to remove or destroy bacteria and viruses. In addition, micropollutants can also be eliminated via the chemical process of ozonation. The membrane technology of nanofiltration was tested in the laboratory. The process is only effective if urea in fresh urine is not hydrolysed. If this can also be successfully prevented in practice – e.g. 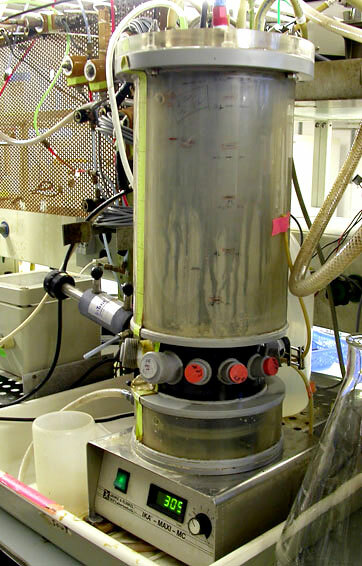 through acidification – nanofiltration can be used to produce a urea solution (without phosphorus). This solution is largely unproblematic: a large proportion of the organic micropollutants can be separated from the nutrients, and bacteria and viruses are eliminated . In the nanofiltration process, the nutrients are not concentrated – in a further project, vacuum evaporation was employed for this purpose. With this process, the volume of a urea solution was reduced by 90% at 78°C . Also tested in the laboratory were the membrane-based process of electrodialysis and the chemical process of ozonation. With the aid of electrodialysis, micropollutants can be largely separated from ammonium, phosphorus and potassium, as can microorganisms such as bacteria. At the same time, the nutrient solution is concentrated roughly fourfold . If ozonation is additionally performed, the fertilizer produced is highly likely to be acceptable as regards both hygiene and contamination with pharmaceuticals and hormones. In a follow-up project, electrodialysis and ozonation are being tested on a pilot scale for the treatment of urine collected at the Basel-Landschaft cantonal library in Liestal  (cf. Nova PP). The nutrient solution produced here contains 12 g N, 0.65 g P and 5.7 g K per litre. The wide variety of urine treatment processes available offers substantial flexibility. For example, if a rural setting calls only for stabilization, to prevent the release of ammonia when fertilizer is applied, a one-step biological treatment should be sufficient. But if nutrients are to be recycled in a metropolis – as would be advisable in areas with a general lack of fertilizers – the demands are higher, and various processes will need to be combined. Nutrients can, however, also be eliminated – e.g. to protect sensitive receiving waters from excessive nutrient loads. All the processes will require further development before they can be implemented in practice. But thanks to the Nova 4 research, we now know precisely what processes are currently available, for what purposes they are suitable, and in what respects they need to be optimized. In many cases, separate removal or recycling of nutrients is preferable to the existing practice. This also applies to the energy requirements associated with these processes [1, 9].